3D displays are ten-a-penny these days but, of course, most require us to don a pair of funky cardboard specs to enjoy the experience. Not so NEC's latest prototype. 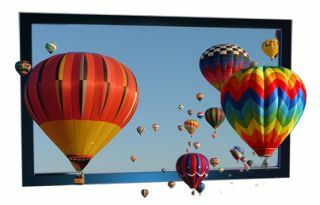 The Horizontal Double Density Pixels (HDDP) screen goes on display for the first time next week at Japan's International 3D Fair and measures 12.1 inches on the diagonal. As with many 3D displays, resolution is low at just 800 x 600 pixels but NEC says the unique arrangement of those pixels means it isn't uncomfortable to look at. The company hopes the screen will find a home with makers of digital signage, although it hasn't said when a finished version will be ready for market.